Now that the fourth Game of Thrones season has ended -- in eye-popping fashion, it must be said -- we're all dying for more. But short of re-watching the entire series, how's a hungry fan to get his fix of gorgeous landscapes, sexual intrigue, and horrific violence? By taking a vacation in the show's most beautiful filming locations, of course. While we've already told you about this sweet nine-day package deal that takes you to some of the more iconic locales, turns out that Hopper -- the good folks who showed you how to visit all 30 MLB stadiums on the cheap -- have just unveiled a neat little tool that'll map out flights to popular GoT destinations starting from your home airport. Simply enter your three-letter airport code, and Hopper'll show you the average price of a flight to Dragonstone, Yunkai, or the Eyrie (or Northern Ireland, Morocco, and Greece, if you'd prefer to use their real-world names). 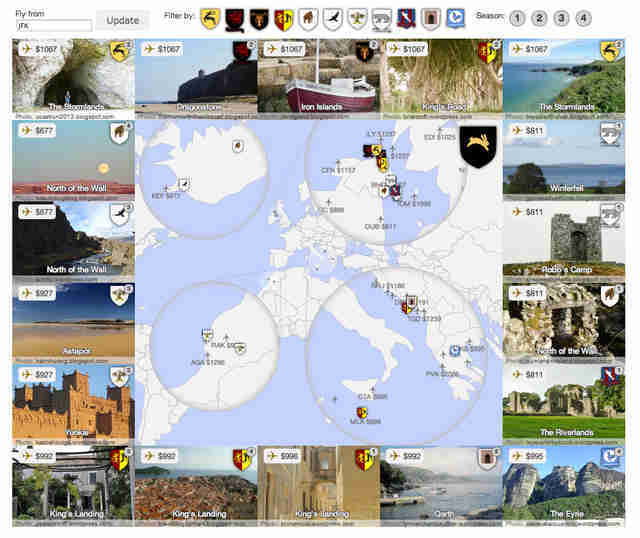 Destinations are sortable by season and House as well, so if you'd rather only visit the Lannisters' domains from season 3, you totally can. Clicking the price'll show you the cheapest time of the year to go, and Hopper will redirect you to an Orbitz page to book the flight. You'll be on your own when it comes to actually getting from the airport to the filming location in question, but that should give you some appreciation for what the show's characters go through every episode. 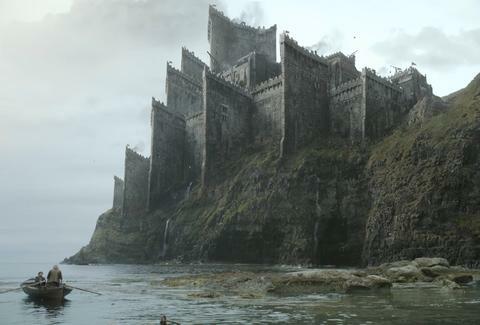 Satisfy your wanderlust for Westeros, and start planning your GoT adventure here. Gianni Jaccoma is an editorial assistant for Thrillist Travel, and he’d love to get Prince Oberyn in touch with a first-rate ophthalmologist. Follow him across the Narrow Sea on Twitter @gjaccoma.